Yes!! you can now post GIF image on facebook easily as they allowed to upload GIF image but you can not upload directly on facebook, You need to create and then either upload on hosting site or sites like Giphy, Makeagif, imageflip, gifcreator and gifmaker . Here We will see how to post a GIF on facebook using Giphy as this is one of the best site to upload GIF. 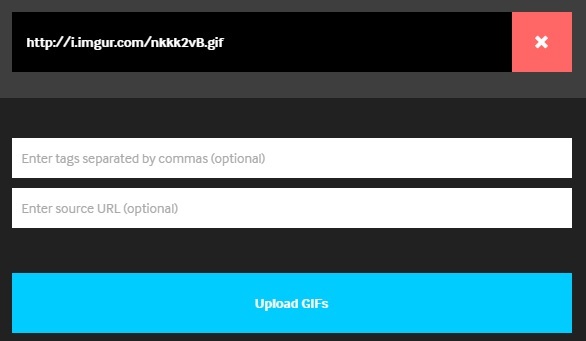 Step 1:- Download your GIF or create your GIF using GIFMaker . 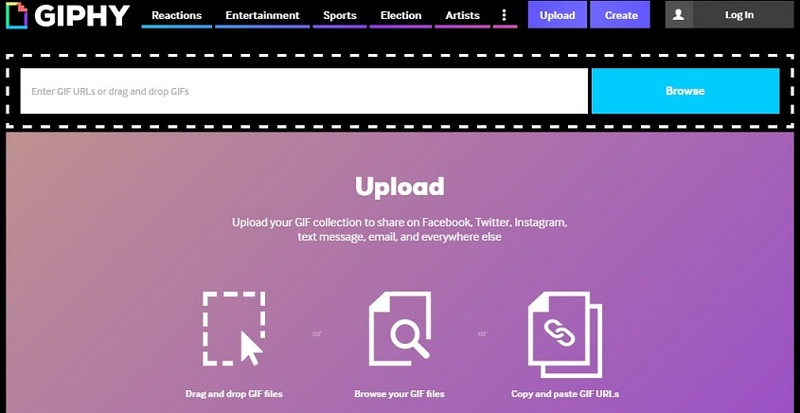 Step 2: Use a third-party tool GIPHY to upload your GIF . 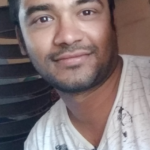 You can either upload or Provide link of GIF image and hit browser. step 3: On next screen provide tag which you want to give for image and source .Even you can left blank as both are optional and click on upload GIFs. Once you click then You should see these loading bars as it take time to upload . Step 4: Once GIF get uploaded then move to advance tab as shown below and copy url from Giphy Link textbox. Step 5: Lastly just paste copied link into Facebook status and wait for a while, as it take time to upload . Once it get upload then click on post to complete process as below. Then delete the URL and enjoy. 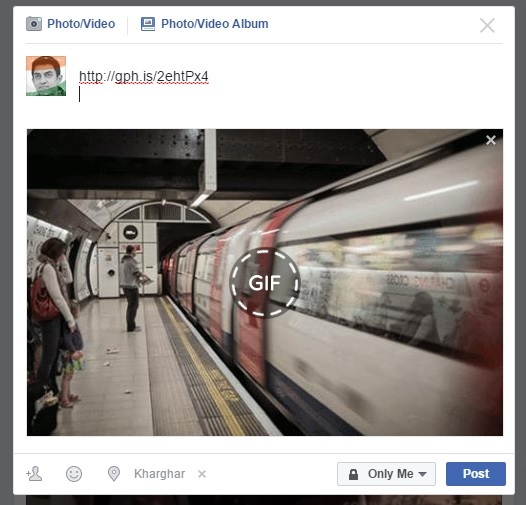 Hope you like this post and now able to use Giphy to upload GIF on facebook .